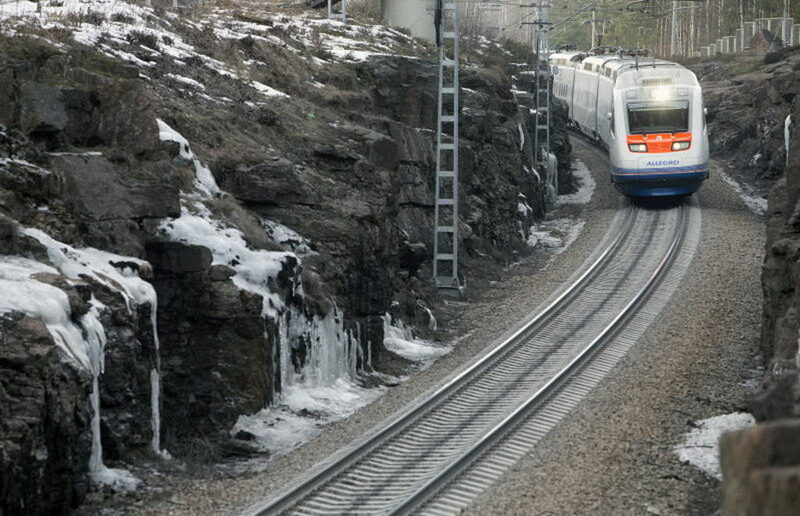 Allegro train serving the St. Petersburg — Helsinki line broke down again on January 21, leaving passengers blocked inside for at least two hours. One of the departures of the train from St. Petersburg was cancelled, passengers were transported with almost four hour delay. The saga of the Allegro’s adventures goes on. Following the fault in August last year when the train was stopped by a fallen tree on the Finnish territory and the delay lasted nearly a day causing cancellations of many further trips by ferry and plane, the incident on January 21 also brought a lot of problems for passengers. As Life78 news website reported quoting one of the passengers stuck in Allegro, the train broke down on the Russian side, just in the middle between Vyborg and St. Petersburg, 70 km of the city, because of electric equipment failure. Not that a big deal, it has repeatedly happened throughout the Allegro’s history since 2010. But this time Russian railwaymen didn’t manage to repair the equipment fast or get the passengers delivered to the destination in short. They tried to send rolling stock to pull the broken down train, but failed to connect the both trains. At last, they sent Lastochka train to take passengers to St. Petersburg. Due to the delay, the departure of Allegro from St. Petersburg at 12.04 was cancelled, passengers heading for Helsinki were taken by the train that departed at 15.58 (though it was scheduled to depart at 15.30). This is not the only impact from the technical failure. The passengers stuck in the broken Allegro found themselves in a two hour blockade. As we wrote, all the amenities on Allegro work only when the train is being supplied by electricity. Energy collapse leads to closed toilets, turned off heating and other inconveniences. Passengers, as Life78 reported, wanted to get off the train and hail one of commuters trains operating on the line, but their move was stopped by border guards on board who prohibited to leave the train. The only positive thing about it is the compensation the passengers must get in exchange of all their pain.